Craving for some tasty pasta but do not want to burn a hole on your pockets? Or how about wanting to check out some 3rd wave coffee while dining and chilling out with your besties? If your answer is 'Yes', then head over to a nice and comfy little cafe called Purple Pasta located at young and vibrant Oasis Square around Ara Damansara. Purple Pasta serves 3rd wave coffee here ! Newly renovated cafe is now furnished with comfortable seating with glass panels separating the alfresco dining area from the indoor air conditioned dining. This full day dining cafe offers a nice, soothing and casual environment for you and your friends to dine in any time of the day. Serving variety of western fare from appetising breakfast set and starter to main courses of pasta, coffee, tea, sodas and cakes, Purple Pasta is just the place for a nice simple meal. Our first dish is the Lamb Marinara Pasta. This traditional pasta is a real winner for me. It's main dish entree, combination of rich sauce and tender lamb meatball with size of a ping pong ball, plus Purple Pasta's own special tomato meat sauce which their chef made from scratch daily. Serving size is decent for an average eater, not enough though for the big eater. The pasta was really delicious, combined with the generous amount of meat sauce that made this another comfort food candidate indeed. Price is a steal, guarantee won’t burn a hole in your pocket as it costs only RM 5 per serving which I believe you can't find anywhere else in town. Next come another no-frills RM5 pasta, simply called the Authentic Carbonara. 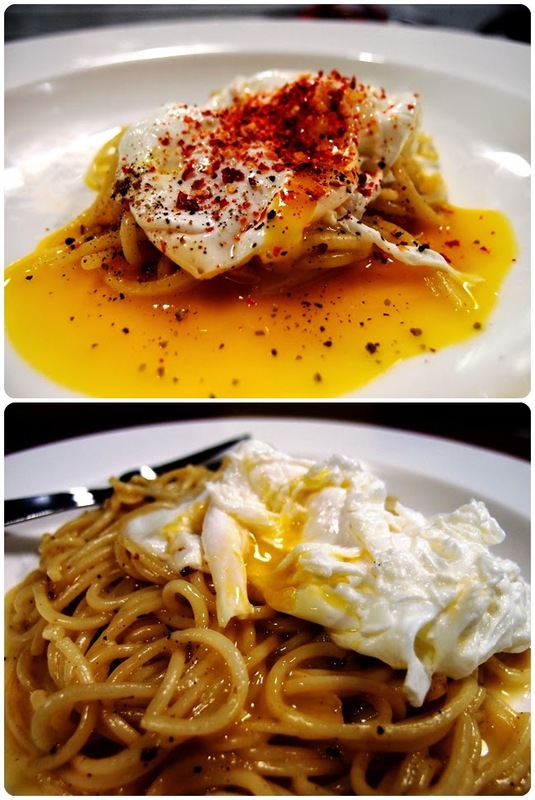 The simple hot pasta is cooked with cheese and cream and serve with poached egg. Something quite different from the usual creamy white carbonara that I used to eat. 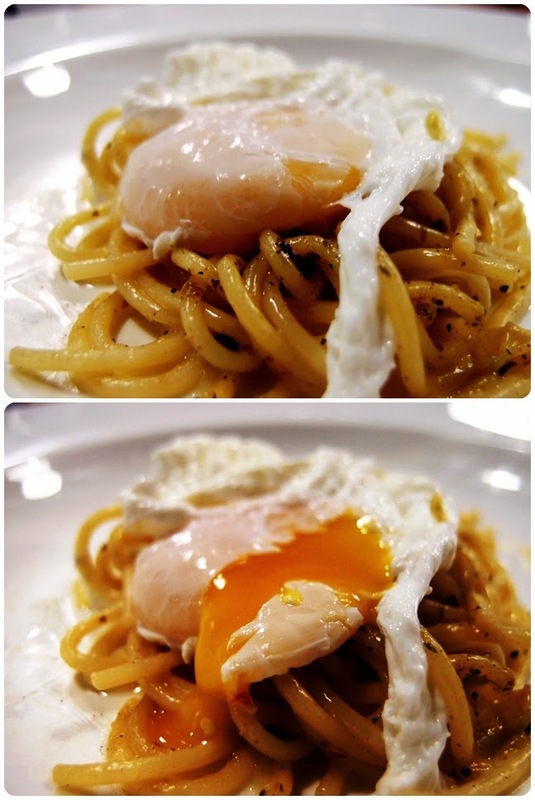 The runny egg yolk does wonders to enhance the overall taste of the pasta, making it an easy and delicious food. But anyhow, I still finds it a little bland and not savoury enough due lack of seasoning perhaps. I spiced it up with some pepper flakes and it's tasted better. 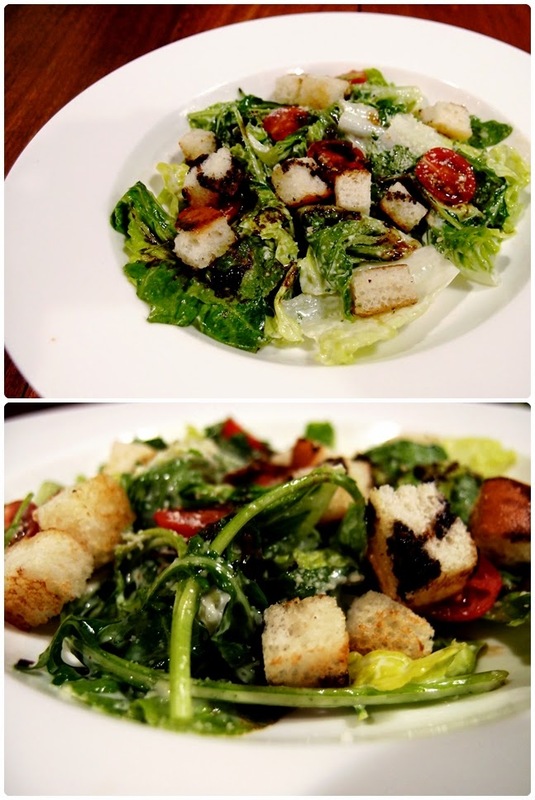 The Garden Salad is my favourite among the three. I found this Garden Salad simply appetising. 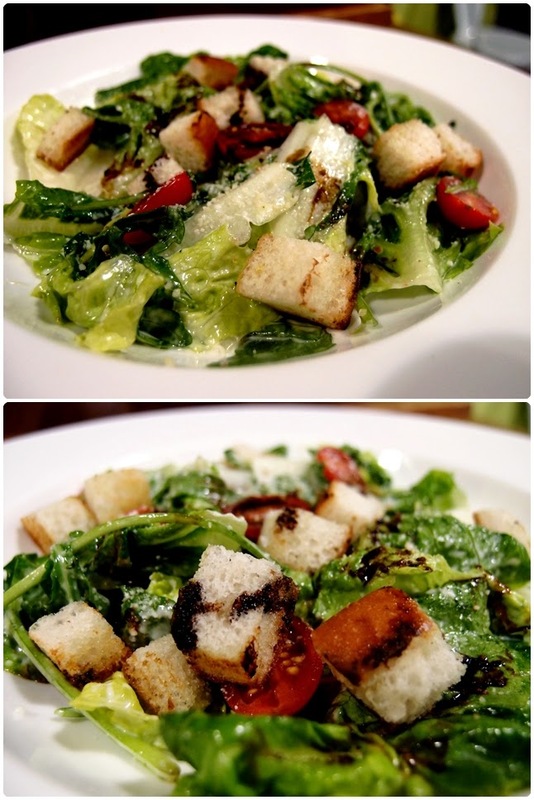 Freshly served with crisp romaine lettuce, cherry tomatoes and arugula (salad rocket) lightly coated in balsamico dressing and Japanese mayo topped with croutons and grated parmesan. I would like it better if it comes with some hard boiled eggs too! 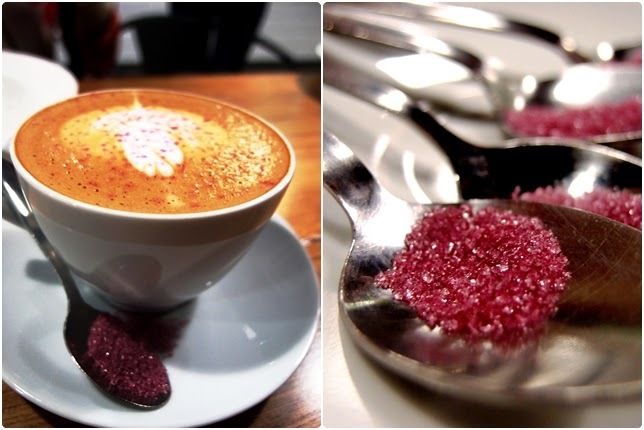 I had this wonderful Latte that comes with some real interesting purple sugar called the Lavender Sugar or better known as Azulette Sugar. Lavender sugar has this light floral scent of lavender blended right into the granulated sugar. I can taste the aroma of lavender while sipping the latte slowly. 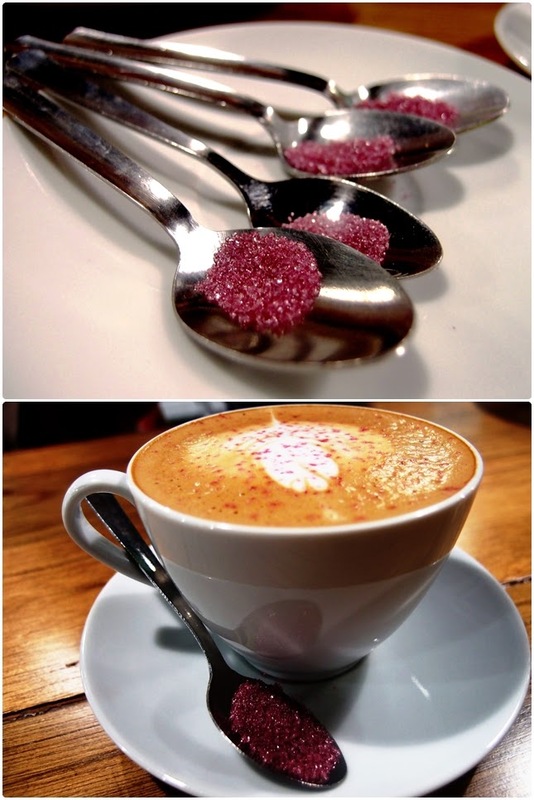 Never knew lavender sugar can goes so well with coffee. 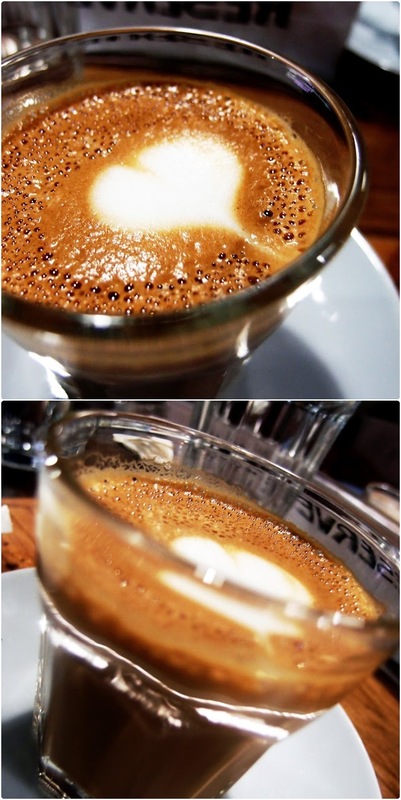 Piccolo Latte is a ristretto shot topped with warm. silky milk served in a 100ml glass, which is basically, a baby latte, as the Italian pronunciation suggests. Overall, the food they serve is really good quality. Fresh ingredients are used in all their cooking, from making their own pastas to the own savoury pasta sauce made from scratch. As the saying goes like this "The best recipe comes from our heart" is no lie! Steamboat lover, look no further as you can have your choice of steamboat food items all stewing in multiple choices of soup with different types of pots at Two Pesos along Jalan SS2. Having steamboat in a pot is not unusual but eating from various kinds of fancy shapes and designs of pot is a novelty here in Two Pesos. 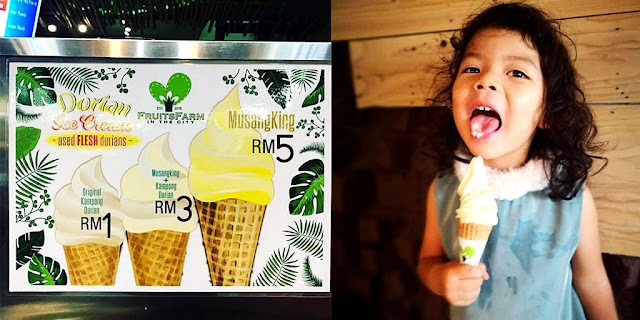 Two Pesos is the first and only one in Malaysia, opened in SS2, Petaling Jaya, in August this year. With more 50 existing outlets across Taiwan under the Two Pesos brand, the Two Pesos Malaysia's flagship outlet has a exquisite facade. 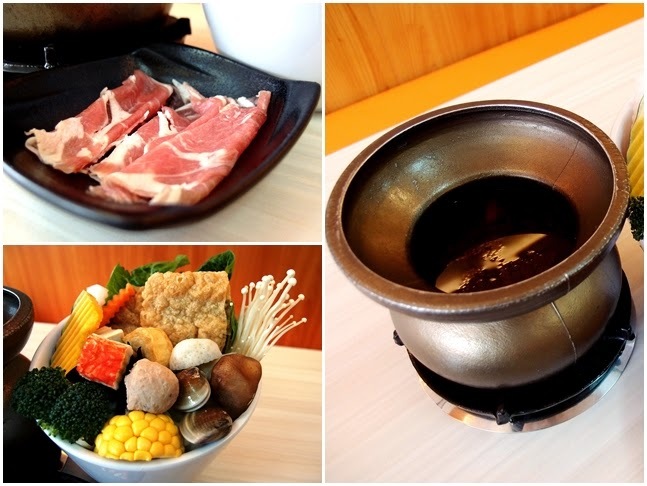 At Two Pesos, patrons can enjoy steamboat with a twist. 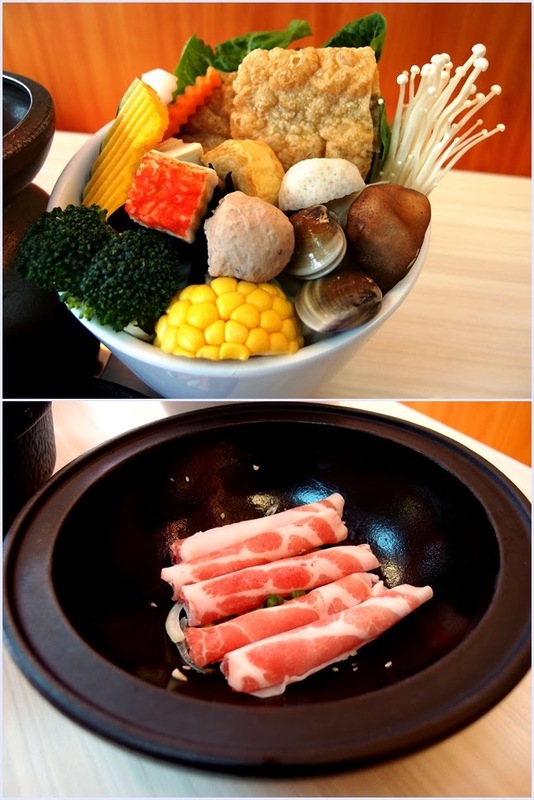 Patrons can take their pick from selections of 12 different sets of mini steamboat with variety of soup flavour to excite your taste buds. 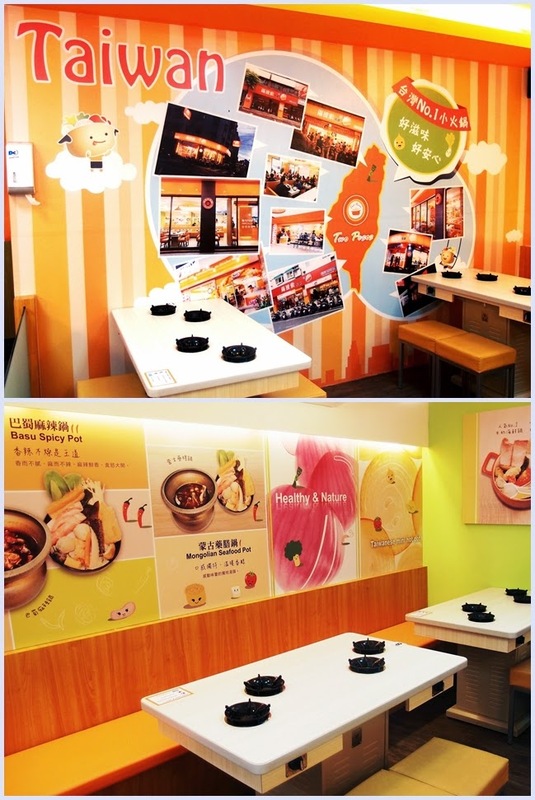 Bringing to KL/PJ folks the 5th Generation of Taiwanese mini steamboat, Two Pesos philosophy is committed to serving nutritious, healthy and yet affordable meal for everyone to enjoy. You can never miss this shop as it has this bright and attractive colours of red and orange signage which is practically so visible that no one can missed it. Step into this colourful restaurant and you'll be met with an adrenaline rush of happiness and cheerfulness of the vibrant and refreshing colours that's automatically sets you in the mood for some delicious dining. Two Pesos offers a clean, comfortable and casual environment for you and your friends to dine in. This restaurant opened its doors to customers in August 2014 barely a month ago and have been enjoying brisk business ever since. During my review, I notice that it's always filled to the brim with hungry patrons, young and old alike. Families and young adult groups seems to be enjoying this simple, wholesome and nutritious cooking. The restaurant is also fitted with several ventilation fans having patrons in mind to eat in a comfortable and enjoyable dining environment. 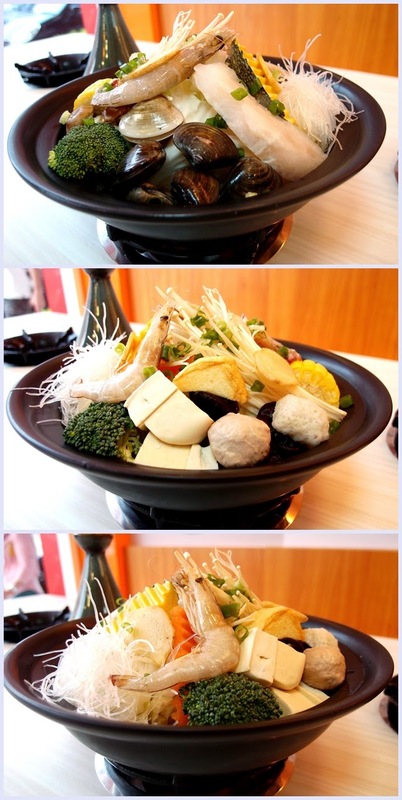 Delight yourself with variety of 12 mini steamboat sets ranging from Classic Original, Taiwanese Sacha, Korean Kimchi to Signature Two Pesos Stone, Japanese Sukiyaki, Milky Seafood, Tajine Seafood, Mongolian Herbs, Basu Spicy among others. 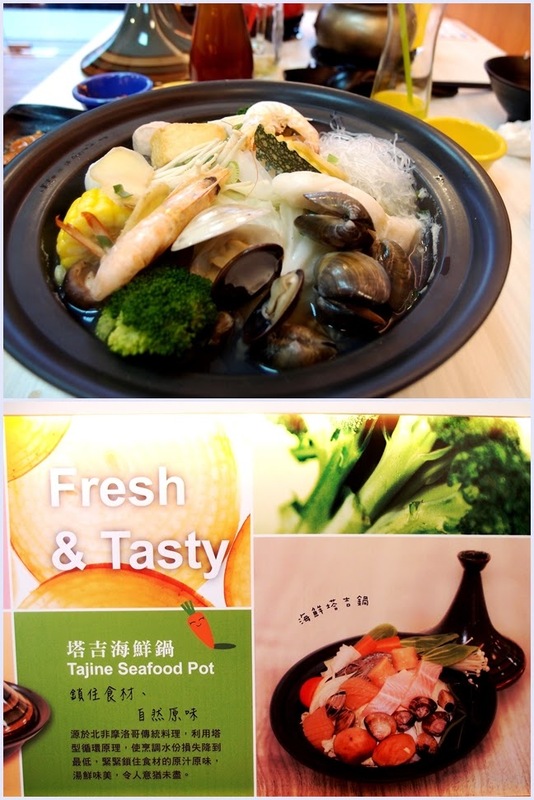 Patrons can choose to add-ons from a selection of fresh meat, seafood, vegetables, eggs, noodles, tofu, meat balls and of great quality healthy broths to go with the steamboat set. Prices ranging from as low as RM 1.20 for noodles/rice to RM 6.00 for seafood/meat items. 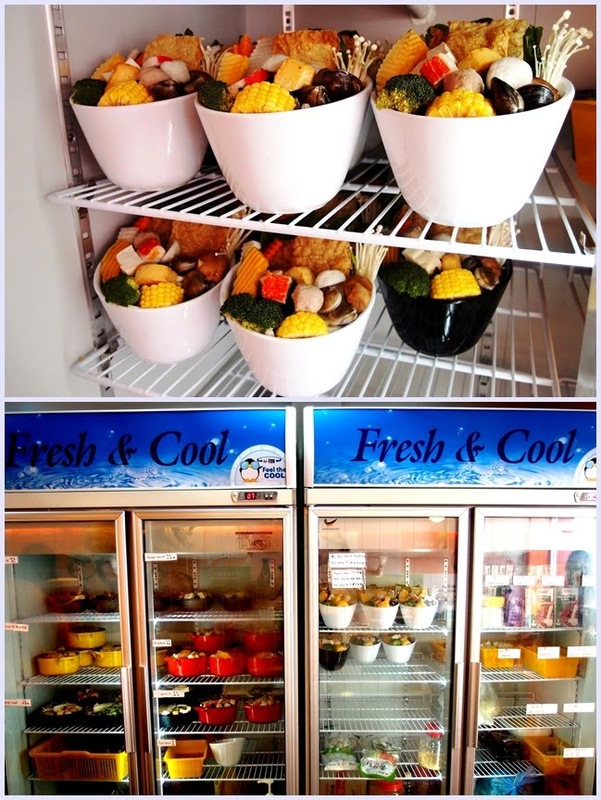 Food freshness and hygiene is kept to optimum in these display chiller freezer. Each individual pots filled with fresh meat and vegetables are kept in the chiller before it is serve to patrons. Two Pesos has a limited choice of beverages probably they wanted to keep the menu simple and focus on the main offerings instead. I would recommend the Kochabi Winter Melon Tea for the older folks for its health values and the Passion fruit Ice for the younger ones. However, if both is not your cup of tea, you can choose to have mineral water instead to go with your meal. Help yourself to free soup refill from the counter. No worries as soups are all MSG & preservatives free and cooked with freshest ingredients with chicken as the base for the broth. 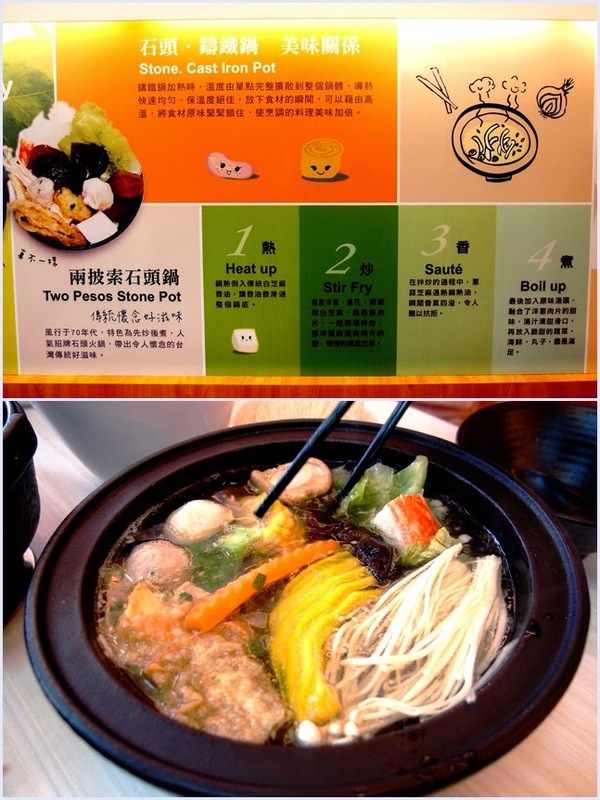 The steamboat pot is designed to contain one kind of soup, with different pot for different cooking ingredients. 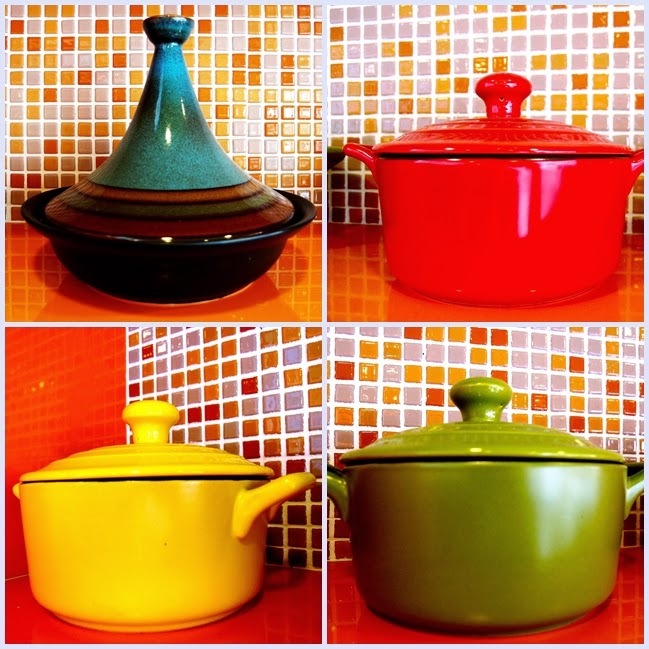 Each pot is utilize to cook a particular soup to fully maximize the cooking process and deliver the ultimate results with the use of the right pot. 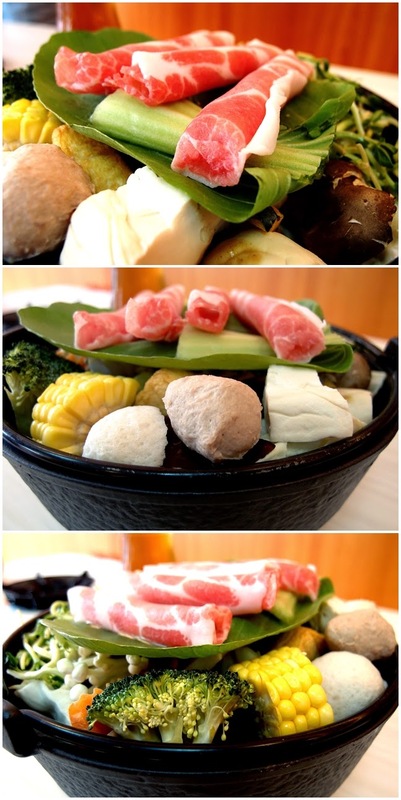 There are a total of 5 types of pots with each delivering optimum tastes and flavours for an exciting steamboat experience. According to Bill, the restaurant manager, much research and studies have been done to match the right pot to the type of soup and coming out with the wide range of soups to cater to everyone taste and preference. He added that each broth was researched extensively for its taste and health benefits. There are 4 main sauces such as sweet base bean paste, spicy chilli sauce, pungent garlic mash and special Taiwan Sacha sauce. Basically, one can mix-match to your own preference to get the right taste as a yummy dipping sauce to go with your meal. During my review, I was given the opportunity to review 5 different mini steamboat set altogether which are namely Two Pesos Stone Pot, Tajine Seafood Pot, Japanese Sukiyaki Pot, Milky Seafood Pot and last but not least the Basu Spicy Pot. I shall be ranking them from the top favourite to the least favourite based on my personal preference. Top on my list is this Two Pesos Stone Pot which is also one of the Best-seller for them too. I was told by Bill, the manager that the secret lies on how this special soup is cooked before hand. Firstly, the special cast iron stone pot is heated up with sesame oil to saute together with chopped garlic, scallions, sliced onions and sesame seeds till fragrant. Next, pork slices are added to be fried or sauteed lightly till partially cooked. Chicken broth will be added last and boil to bring out the flavours. "This method of cooking makes for a more flavourful base, and the soup only gets tastier as the ingredients for the steamboat are boiled in it," Bill said. It's a hearty, clear soup and not too overpowering. The generous serving of cabbage is great especially for the signature clear soup. Healthy and good to drink, the soup tasted awesome bringing out a hint of sweetness of the cabbage to end my satisfying meal. Tasted truly hearty and home made, good to the last drop. Yee mee is best eaten with this too! In awe with the lavish spread of treasure from the sea as the freshness of the seafood is top-notch with prawns, clams and fish fillet served among the meat balls, mushrooms, tofu, vermicelli and fresh vegetables. My 2nd best is simply this awesome fresh and tasty Tajine Seafood Pot. For me, seafood is always best cooked in its simplest form by steam or poach. In this way, all the seafood essence of 'sweetness' is contain within the dish itself. Using a unique ceramic pot called the Moroccan Pot, the pot is designed in such a way that it uses steam and vapour as part of the cooking process. The narrow top cover of the pot has the ability to contained and locked while maintaining heat and steam during the cooking process. Basically, cooking start-off on high heat for about 6-7 minutes. Wait till water bubbles start coming at sides of pot, and at that point of time, remember to turn to low heat to boil for at least another 3 minutes to complete this self-cooking 'masak-masak' session. Voila, the taste of the broth is superb, filled with essence and sweetness briny flavour of the seafood all in this wonder Moroccan pot. If cooked just right (according to the method above), with the ceramic pot being excellent vehicle to bring all those seafood flavours together. As fresh prawns and clams are infused with the goodness of mushrooms, corn, pumpkin, broccoli among other vegetables in the broth, do not let the soup go to waste as after the seafood is cooked, the soup is thoroughly flavoured by the seafood items. There's just something about their hearty goodness that make them satisfying and is sure to please any seafood lovers. And I believe eating this dish is one of the best way to entice even an non-seafood to love it too. By the way, this is best eaten with rice or mee hoon. 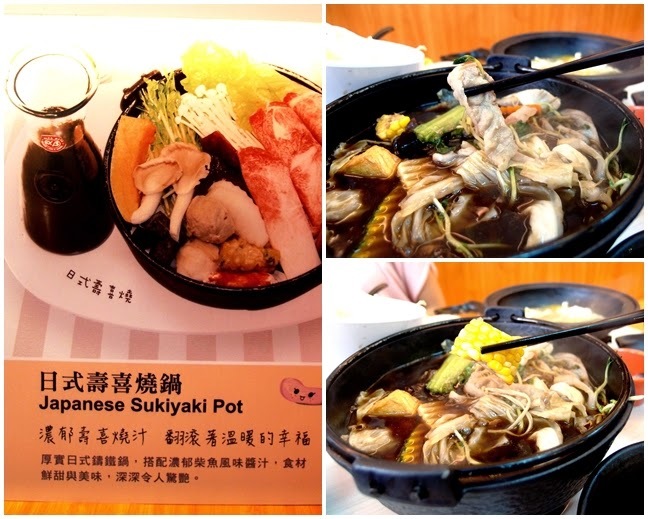 Running 3rd in my list is the Japanese Sukiyaki Pot. Cast iron pot is usually used to optimize the soup flavour in Japanese cooking style. To be frank, sukiyaki never appeal to me due to the strong sweet and salty flavour of the soup. But this Taiwanese version is quite different and came in a milder or lighter version of the original. Anyway, my perception is changed now and in fact I did actually enjoy this Sukiyaki soup. Generous serving of green sprouts, really goes well with sukiyaki soup. At Two Pesos, customer's needs well attended to and they care enough to provide a bottle of an extra lighter sukiyaki soup base to add in to dilute the strong flavour of the soup. Delicious from the start to finish, this soup goes well with rice and additional add-ons of mushrooms. 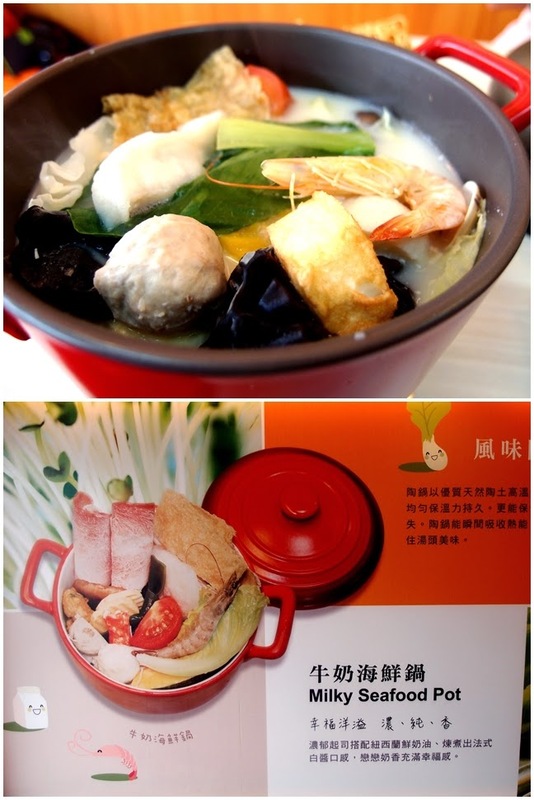 Next, is the Milky Seafood Pot served with a bright and attractive ceramic pot. Comes with selection of fresh seafood - fish, prawn, lamb slices, tofu, meatball, variants of mushrooms, foo chok, tomatoes and lots of vegetables. The milky white soup gets it colour and flavour from cooking cream imported specially from Germany. It's a milder and not as rich as the usual fish head noodles that uses the evaporated milk. But the flavour do gets better after slow cooking the steamboat ingredients after a while. Best eaten with mee hoon as the noodles can fully absorb the milky flavour right into it! Last but not least, Basu Spicy Pot is a pungent and spicy soup with strong influence of the authentic Sichuan flavours. This 'Ma Lat' soup which "Numbing Spicy" in Chinese lives up to its name which gives a complex tingling sensation resulted from the peppercorns imported from Taiwan. Served on a awkward-looking brass pot, this spicy and pungent soup will appeal to those that like their extra hot and spicy. Highly recommended for spicy food lovers! Living up to the tagline of "Everyday is a good day for Hot pot", they caters for takeaway too. Fast and convenient for those on the move but looking for a quick healthy meal. The big cup is for the soup while the small cup is for the ingredients, simply great fast food any time! To find out more on their latest promotions, feel free to follow them on facebook, Instagram or update yourself while dining there with 'foursquare' too! Please do take note of the opening hours as they are closed from 3pm to 6pm mainly to give their hard working staff force a short break from the long working hours. Such a kind and caring establishment, hard to find nowadays. Overall, Two Pesos caters for those health-conscious people looking for decent, enjoyable and nice environment to eat healthy food. 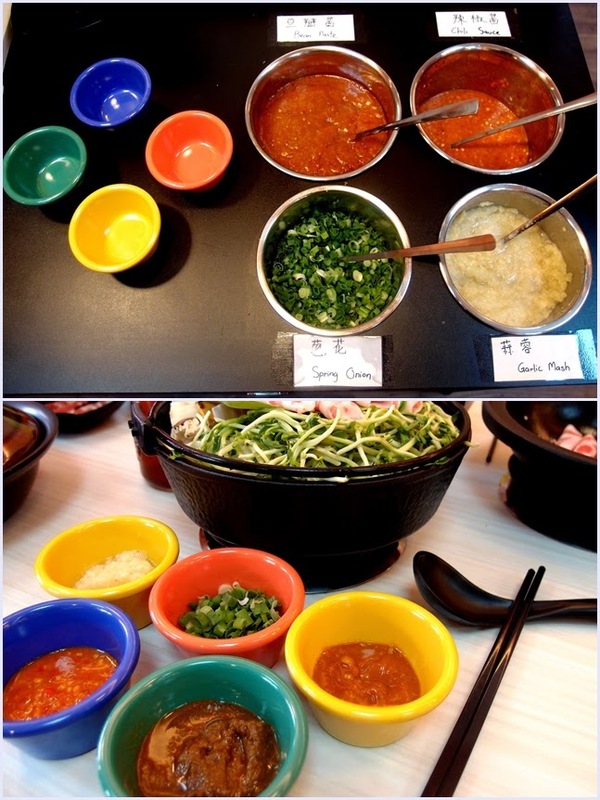 Price-wise is very affordable; fresh ingredients with tasty fresh MSG free soup, you can't get any better than this!